"The hotel put a hold on my credit card for a deposit, which I didn't like. The Internet connection didn't work well. I won't stay here again and don't recommend it.2017-12-20"
"Great location. The hotel was clean, and the room was up-to-date and had modern furnishings. Nice staff, and I loved the free hot breakfast.2016-11-20"
"The hotel room was clean and mostly comfortable, but the bathroom vanity didn't have room for toiletries. Excellent complimentary breakfast.2016-03-23"
"Spend the extra money to stay at this hotel. 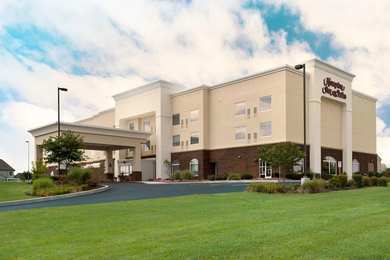 The staff was great.2015-07-21"
Learn more about Hummelstown Hotels & Motels in our Hummelstown Hotels Guide.